Businesses of all sizes have come to appreciate the benefits of cloud-based computing to handle many facets of their operations. 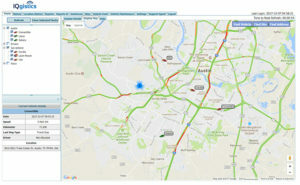 GPS vehicle tracking and fleet location and management is no different. When you sign up for our MS Track Web service, there’s no software installation, no concerns about downloading updates, new features etc. Just log on and you’re in business. Not only that, but you’re ready to ensure the system pays for itself quickly. You can access MS Track Web anywhere you have access to a computer or, in most cases a smartphone. We believe our software is the best you will find anywhere – we intend to keep it that way by constant updating, listening to and reacting to customer comments and always staying one or two steps ahead of the competition. While MS Track Web is the cloud based version of MS Track Pro, its functionality is in no way compromised. Built on the same database technology as MS Track Pro, it includes functionality such as GeoFencing, automatic event notification, management reports, historic reporting, messaging facilities and many more features. In many cases MS Track Web is used as a supplement to MS Track Pro. Larger clients who require a full blown client server application like MS Track Pro often opt to use MS Track Web when away from the office, giving 24/7 access from any internet enabled PC. Cut costs, enhance revenue and manage risk, right from your desktop. 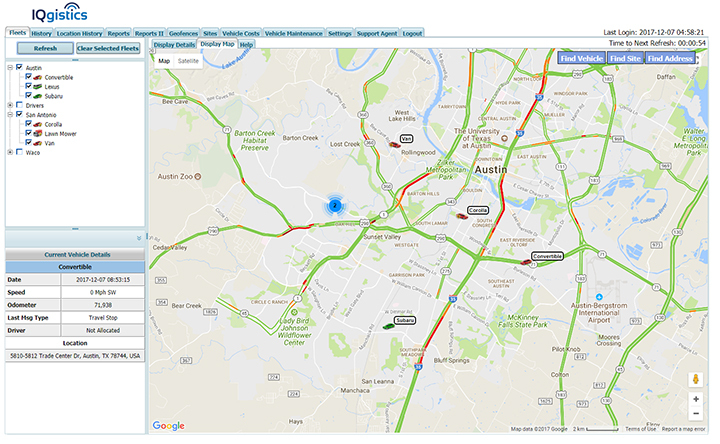 MS Track Web is our scaled down easy to use Fleet Management and Tracking Solution, delivered via the internet. Designed for smaller vehicle fleets, or for customers who require separate access from MS Track Pro, MS Track Web gives you all the information you require to take control of your vehicles without the need for any software to be installed. To show exactly how MS Track Web can be put to work in your organization we will be happy to give you a demonstration.